Hal Bahr will present a discussion about the last of 7 exact squares of Pluto and Uranus representing radical change as well as the spring equinox solar eclipse echoing the theme of powerful new beginnings and our personal challenge to clearing space to make way for the new in the year ahead. Hal will explore the solar eclipse theme of turning away from falsehood and the journey toward authenticity. “All of these spring astrological aspects point strongly toward recognizing where we are out of alignment with our truth, the choice to let go or experience pain, and the opportunity to inhabit our authentic self and embrace it in others. This includes the areas of our society as a whole, our financial and government institutions and all areas of our personal lives.” Hal will incorporate the astrological chart of our Rochester community and your personal chart (providing you give your birth information in advance call Mary with: your name, birthdate and time information). Also, If you did not receive your reading on a CD from Hal when he was here last, please let me know as they are all available now! Soul mates, housemates or mortal enemies: Deciphering relationships through Astrology and Human Design. This promises to be a fun informative class providing insights into what makes your relationship click … and clack! Your birth chart: Deciphering your astrological blueprint, reading your road map, checking the weather report. 1st night, Tues. March 17 – 6:30-9:30 PM – Signs and Houses. Explore the 12 astrological archetype styles and the 12 areas of life they can inhabit. 2nd night, Wed. March 18 – 6:30-9:30 PM – Planets-the Tools and Forces. Energy, attraction, cognition, communication, desire, action, emotion, change. From the personal to the social and out to the trans-personal forces that motivate and shape. 3rd night, Tues. March 24 – 6:30-9:30 PM – Aspects and Transits. Our interior ruling council; it’s relationships, assets, challenges, and cycles of growth over time. 4th night, Wed. March 25 – 6:30-9:30 PM – Integration. Closing the circle, understanding your purpose. A free ranging look at your personal chart, consolidating what you have learned, recognizing your homework. Each night stands on its own but also builds on what was presented previously. $125 all four classes after January 27th. for a Human Design/ Astrological Reading. Hal is a master at what he does – reading and interpreting charts in ways that give you new perspectives of your life, situations, behaviors and choices. He does it with wisdom, sensitivity and humor. I have had my chart done before but never explained to me as well as Hal did. 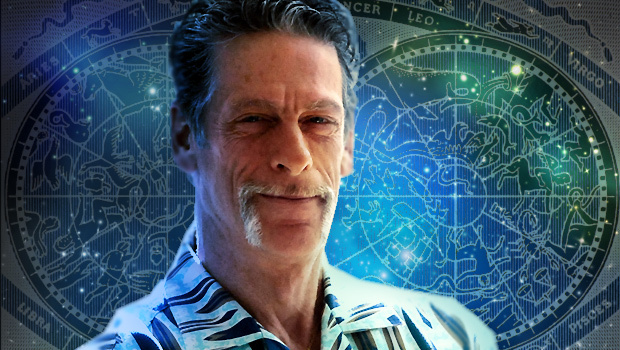 One thing that makes him so good at what he does is that he is obviously passionate about Astrology. It shows in the depth of his knowledge and expanse of information he covers. Hals classes are packed with information and laughter. If you have any interest in or curiosity about Astrology, I highly recommend these classes.